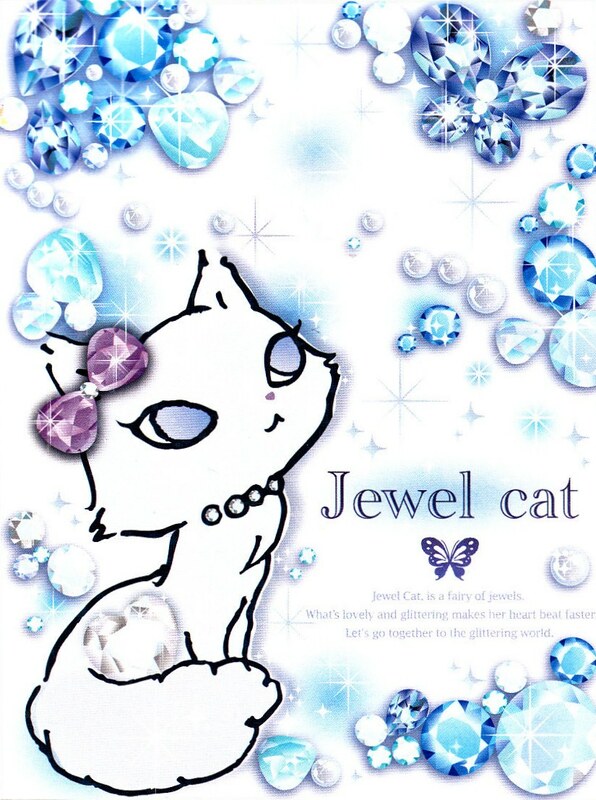 A cat sprite1 that lives inside a jewel box. 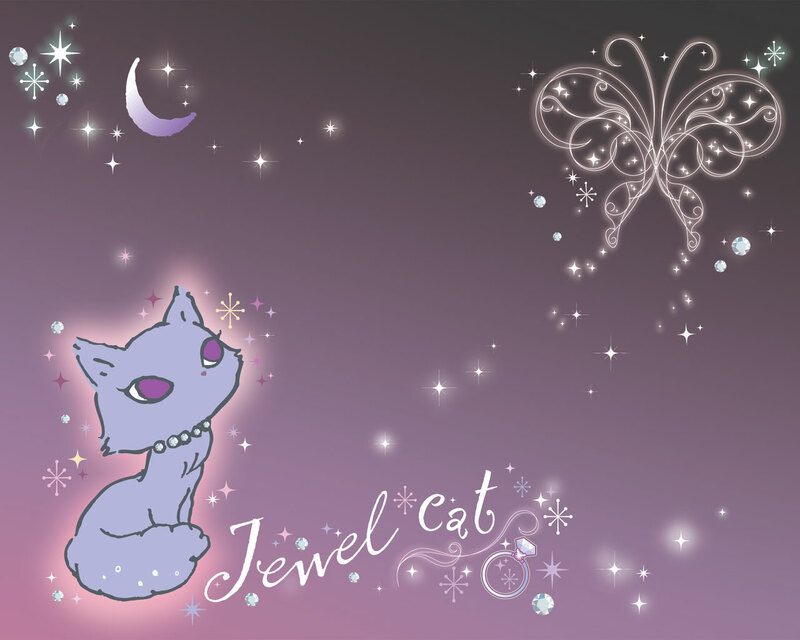 It is rumored that her eyes are jewels, and depending on the condition of the light from the waxing and waning of the moon, the color of her fur and eyes transform. 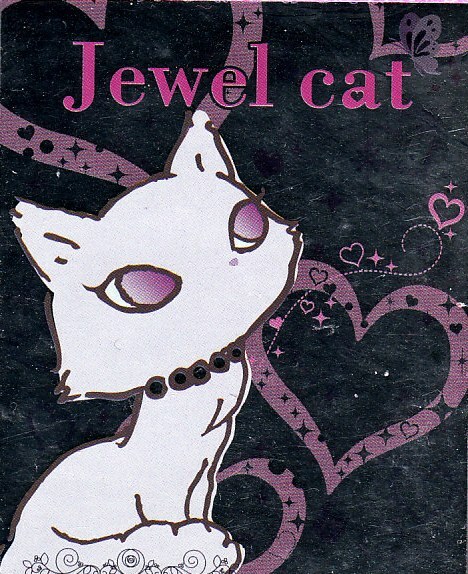 The people who are able to find her receive lucky energy. 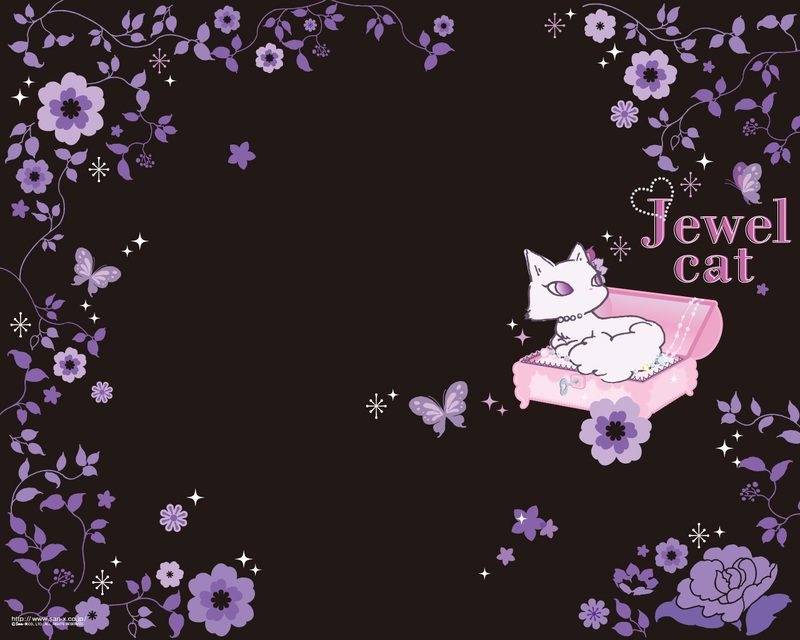 (Apparently the benefit depends on the color that you happen to see her in.) 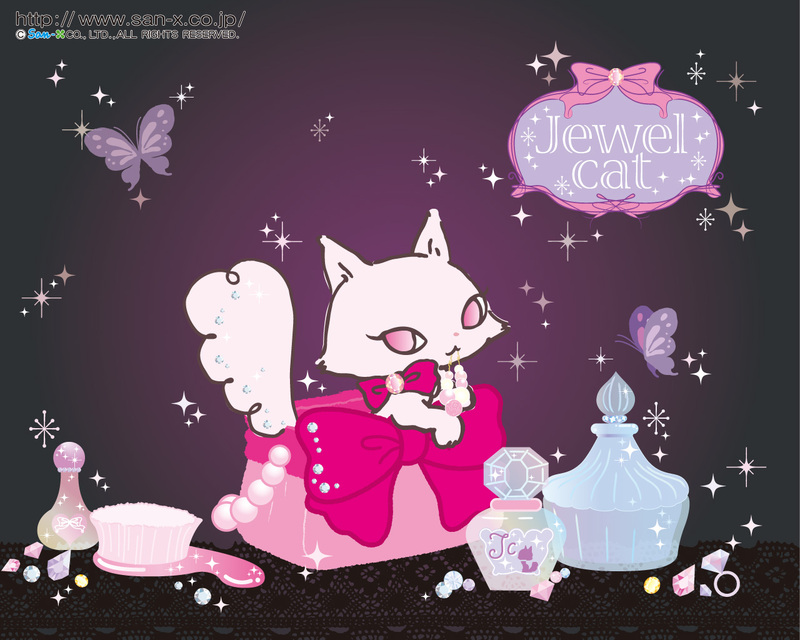 She loves the fashionable, and her charming point is her jeweled necklace. 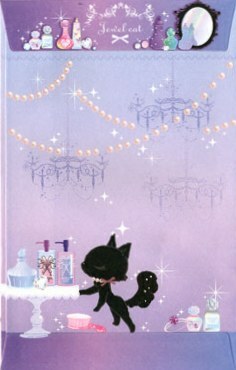 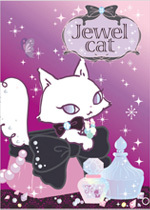 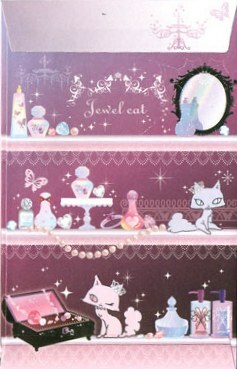 The new Jewel Cat series is cute with glitter and sparkle, and a heart and flower motif is added for the popular black cat debut! 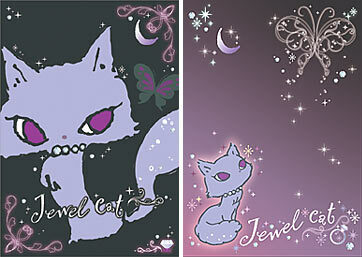 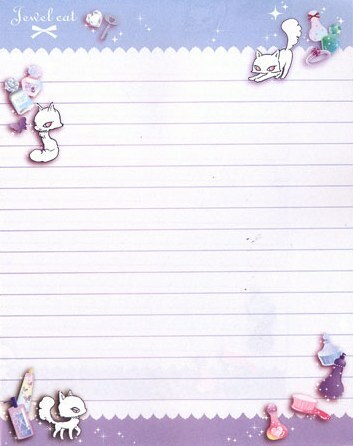 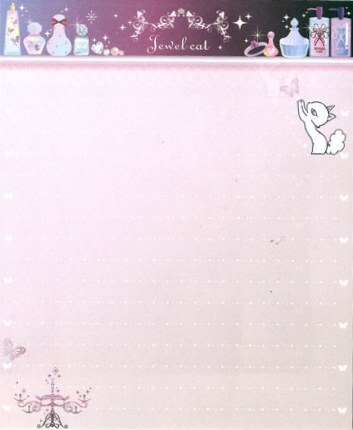 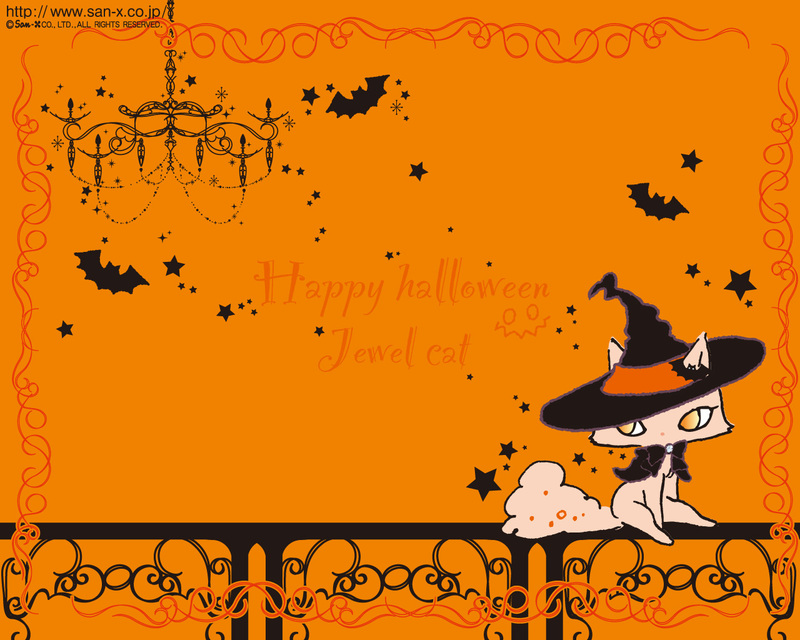 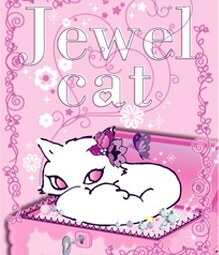 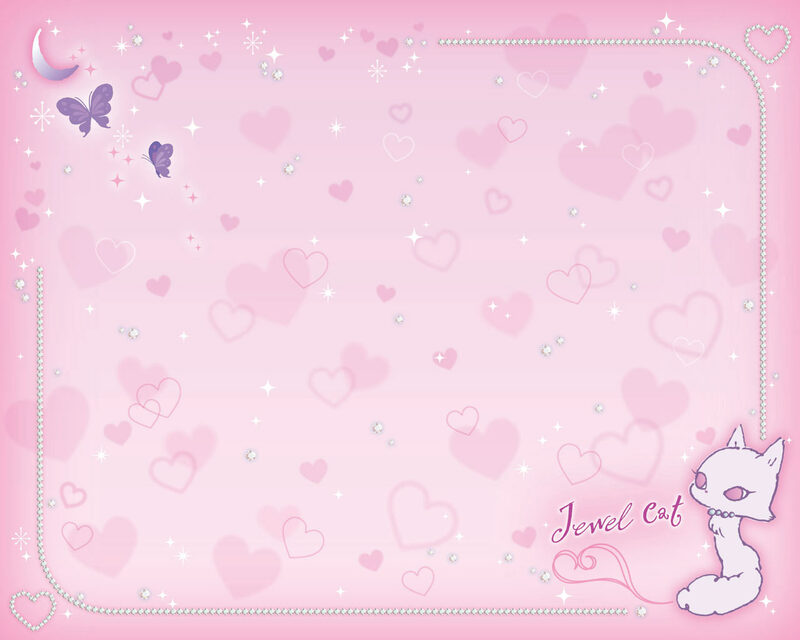 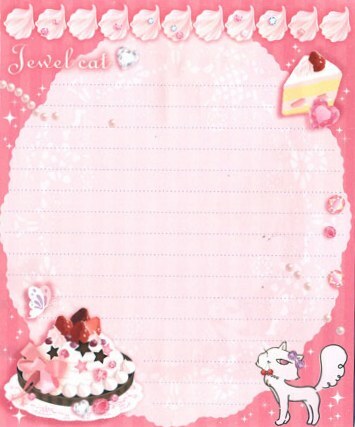 The new Jewel Cat series has the mark of a jewel with a fashionable ribbon! 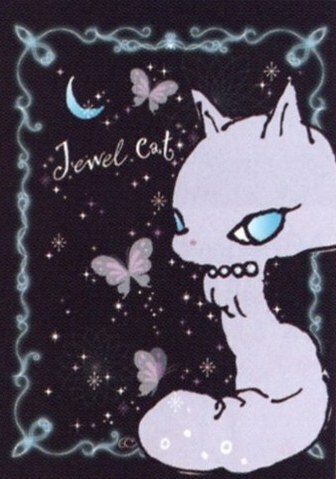 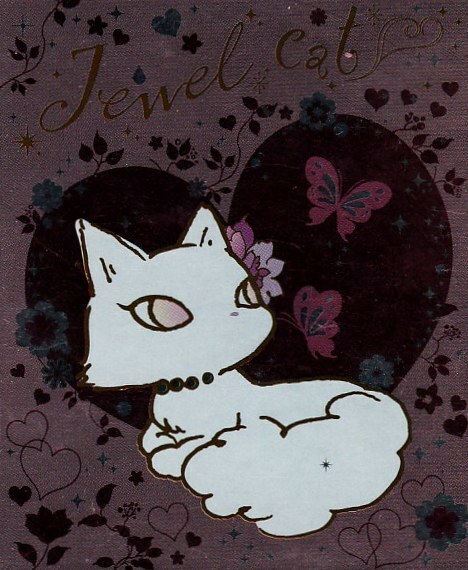 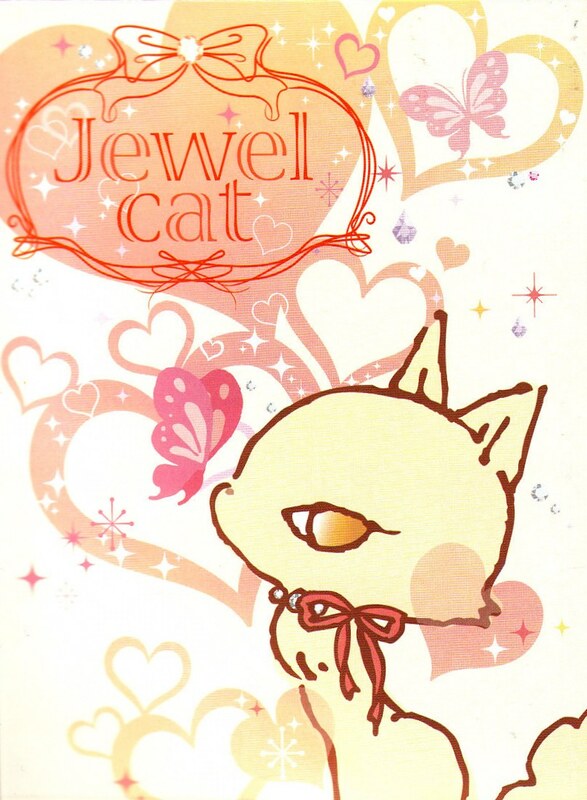 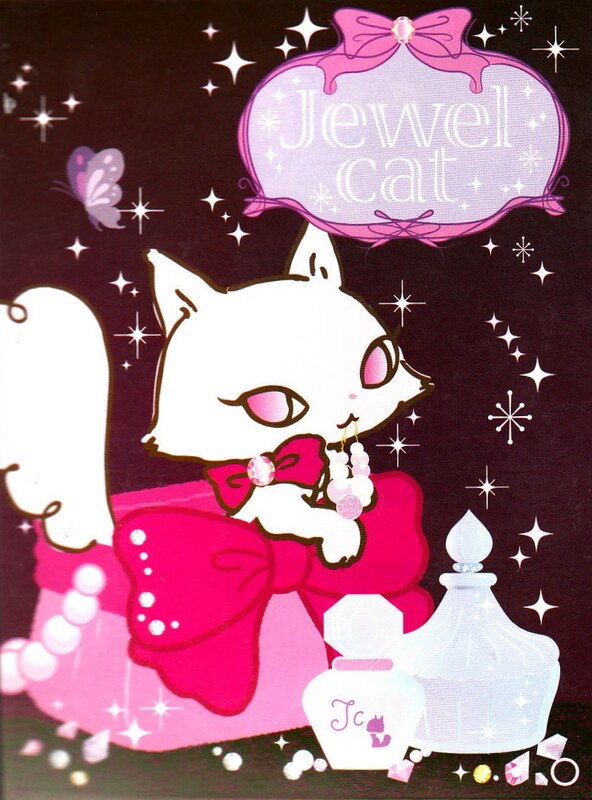 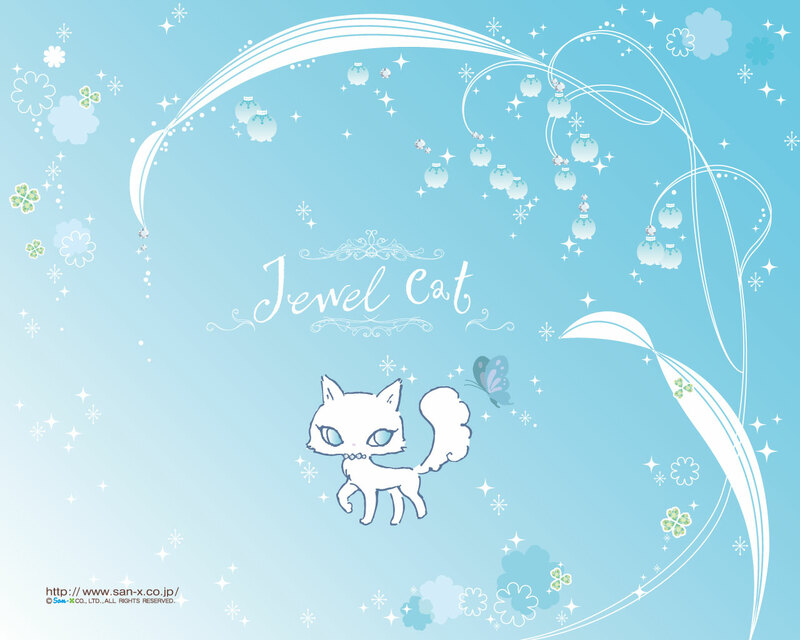 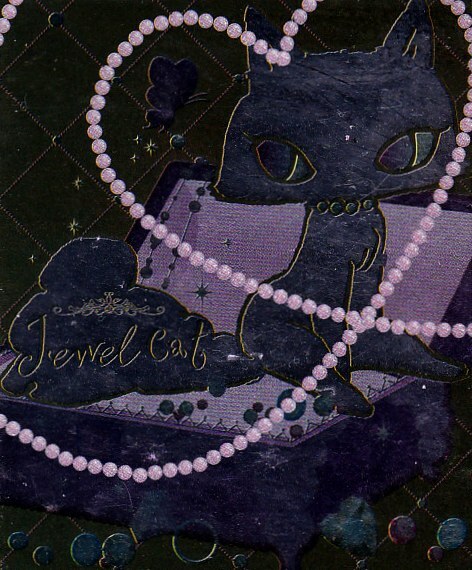 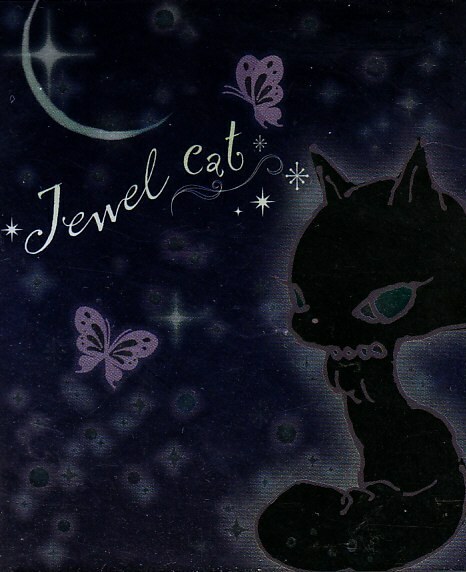 Jewel Cat has been around for quite some time since 2006! 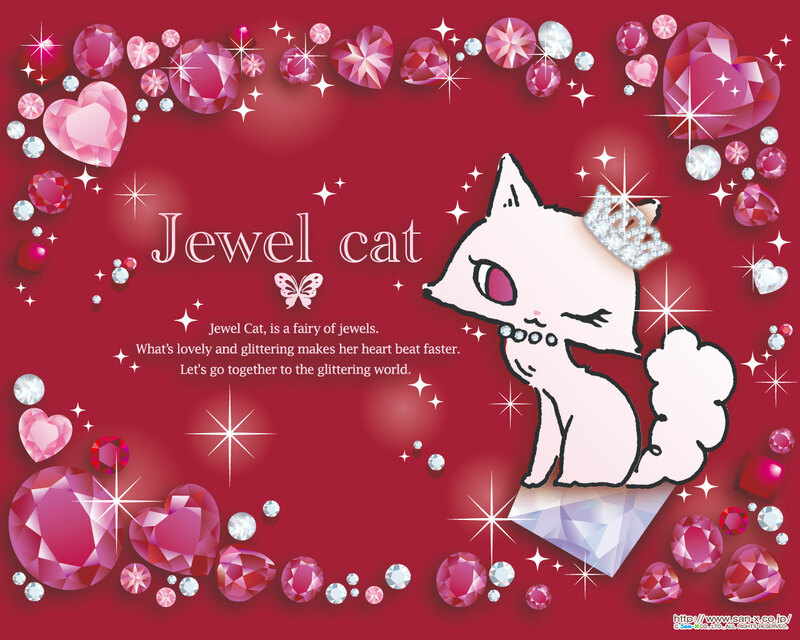 How cute that this cat is a fairy/sprite. 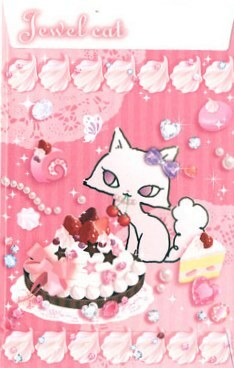 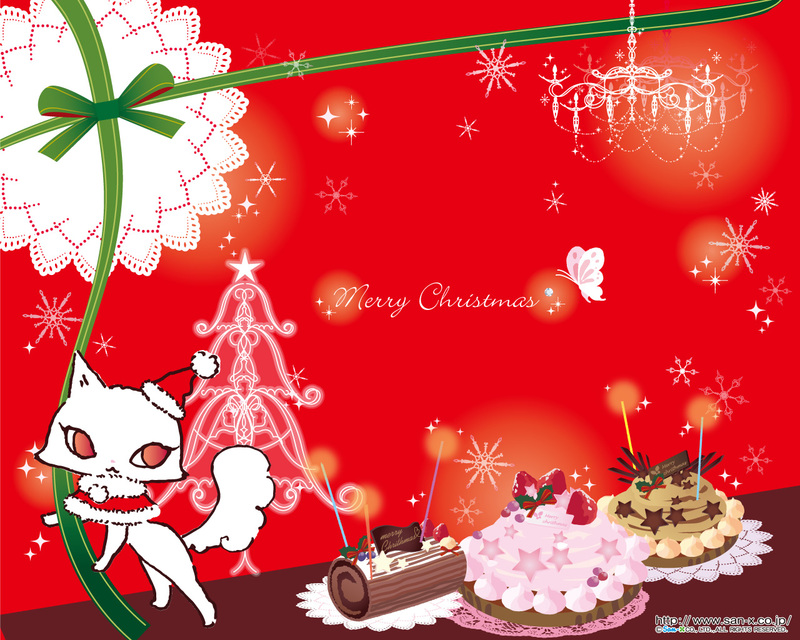 Regarding culture, cats and ribbons are popular for being cute! 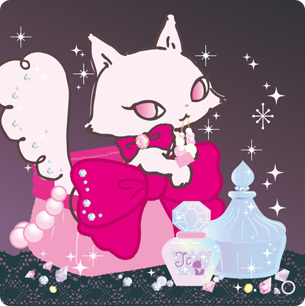 "Yousei" (妖精) can be translated as "fairy, sprite, or elf."